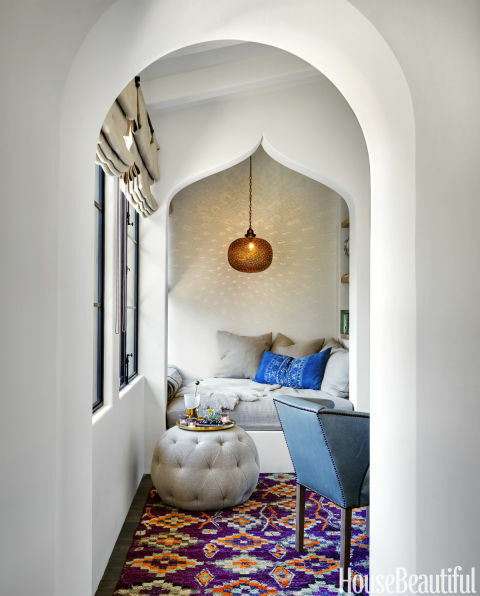 Last month's House Beautiful featured this gorgeous San Francisco home by designer Erin Martin. It's Spanish-neutral-gorgeousness, sophisticated and welcoming. A surf board worthy of the spotlight. These oversized kitchen lanterns make me insanely happy. The kitchen tiles, which could be overpowering in another space, shine against simple white walls and open shelving. That custom swing bed and sweet reading nook? TAKE. ME. THERE. The headboard and rug situation in this bedroom give it an almost tent-like feel (the kind of tent I can get behind). Martin had some pretty nice views to work with. 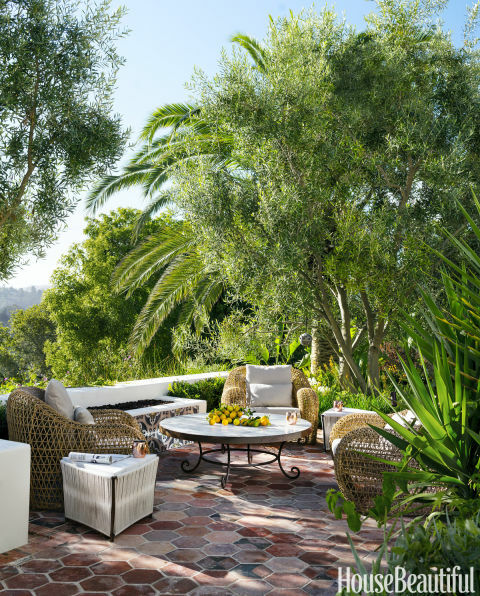 These outdoor spaces are more like al fresco square footage, with seating areas that are as comfortable and welcoming as anything indoors. You can see the whole house here and check out the rest of Erin Martin's work here. Here are a few ways to get the same look in your space.